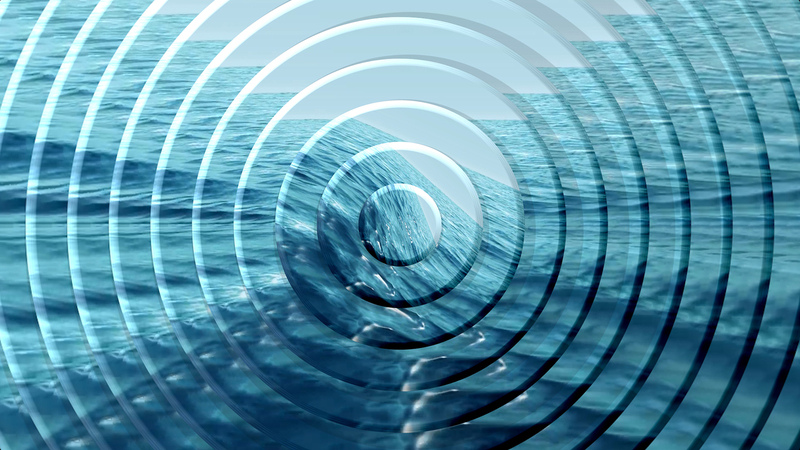 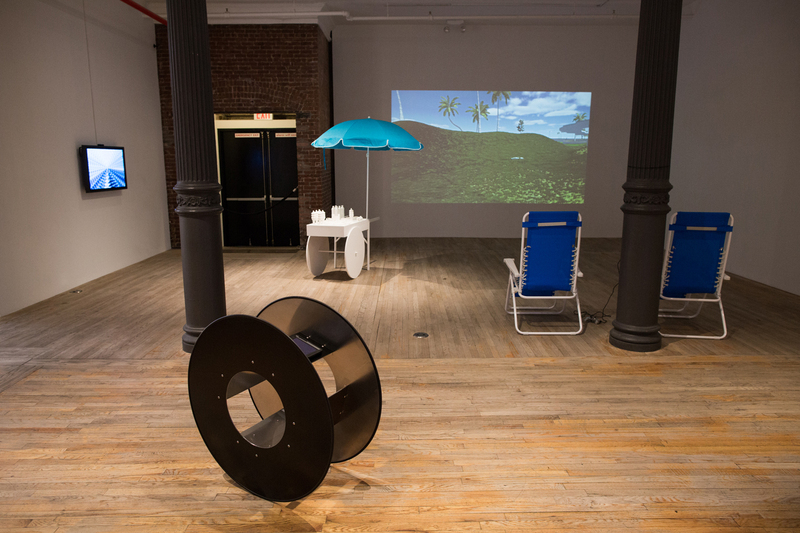 In their two-person exhibition Away From Keyboard at Postmasters Gallery, New York-based artists Kristin Lucas and Joe McKay challenge viewers’ perceptions through a wide range of engrossing user interfaces and innovative technology. 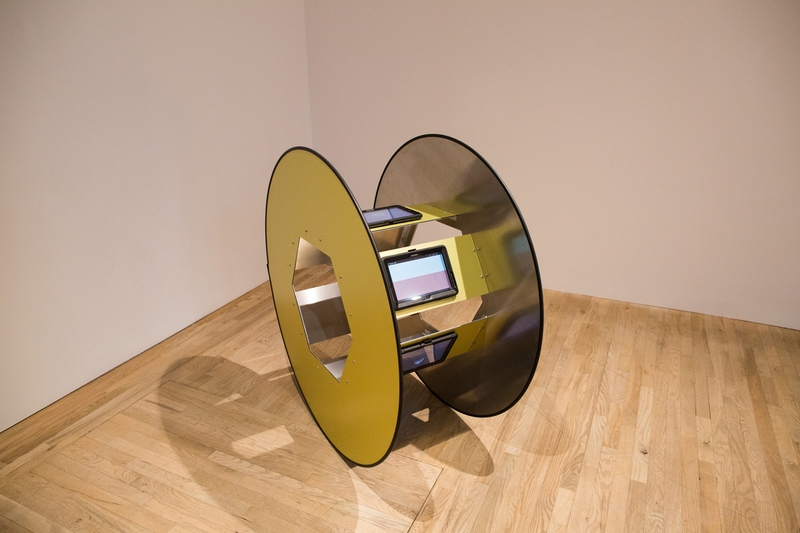 With Lucas’ “pedestrian rollercoaster” Sole Soaker, McKay’s OmegaMouse, and their collaborative movable sculptures Tablet Tumblers, Lucas and McKay’s art requires viewers to become active participants, questioning their prescribed interactions with digital art. 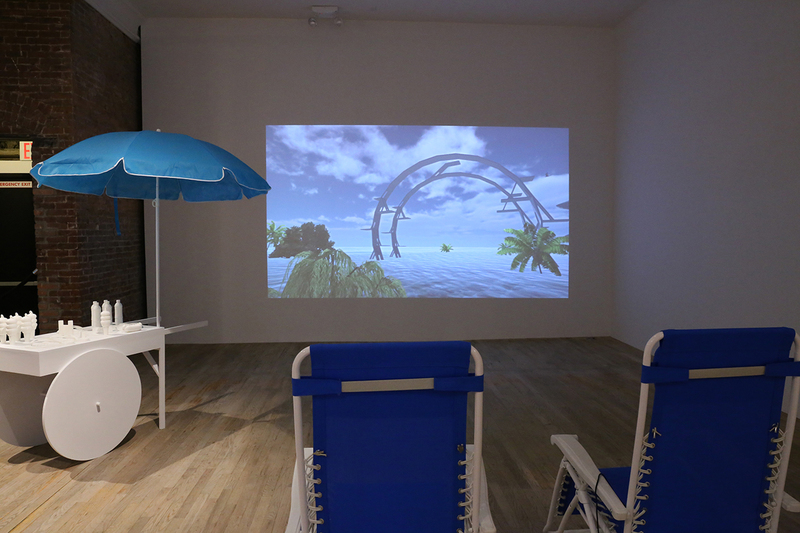 Open until January 23, the 10,000 spoke with Kristin Lucas about her individual contributions to the exhibition, her collaboration with McKay and how art can address the increasingly blurred lines between the physical and the virtual.